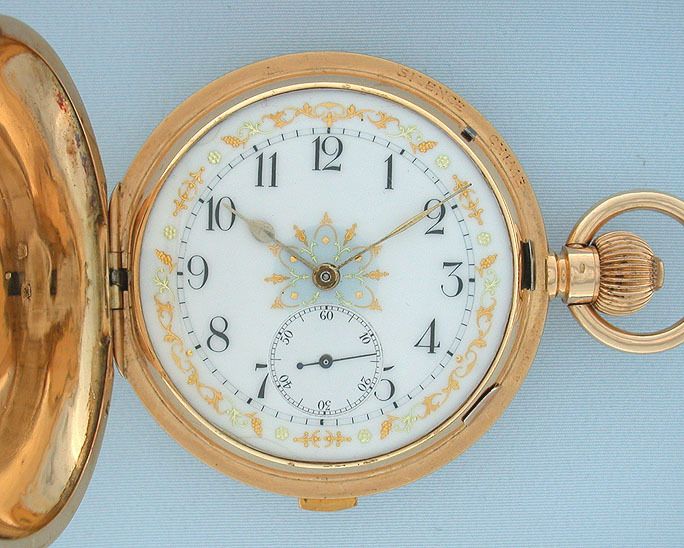 Fine Zenith 18K gold grande sonnerie minute repeater clockwatch circa 1900. White enamel dial with gold foil decorations and gold hands. Lever in the bezel to turn the chime on or off. 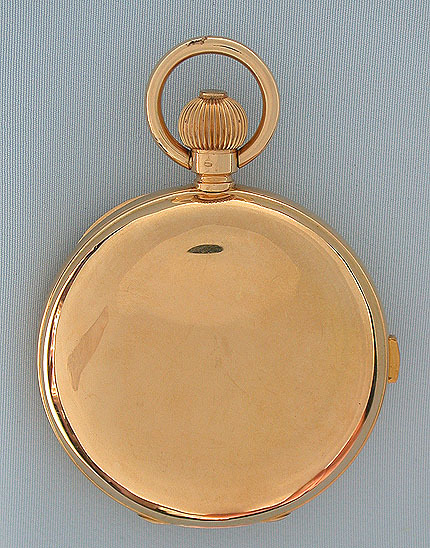 Substantial plain polish case with button the the band to activate the repeater and crystal over the movement under the gold dust cover. 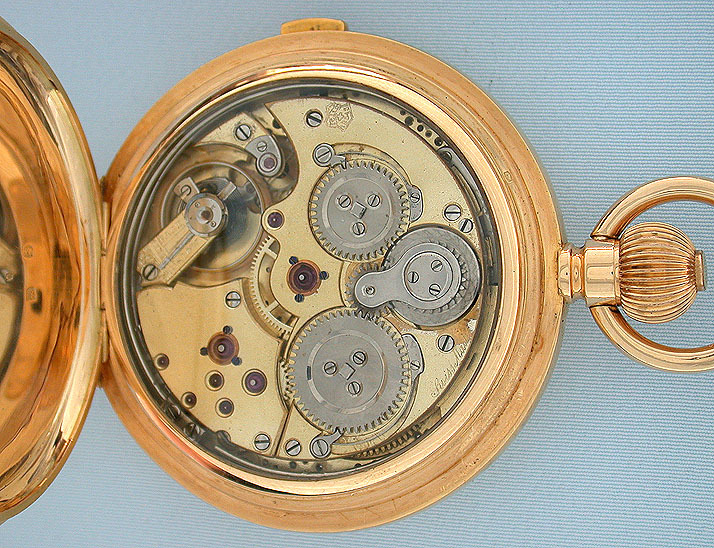 Gilt 29 jewel tandem wind movement with Zenith patent number. With the selection lever in the chime position this watch automatically chimes the hours and quarters every 15 minutes. This means that 1:15 has a different chime than 2:15. When the button in the band is depressed, this watch chimes the exact time using different chime tones to designate the hours, quarter hours, and minutes. 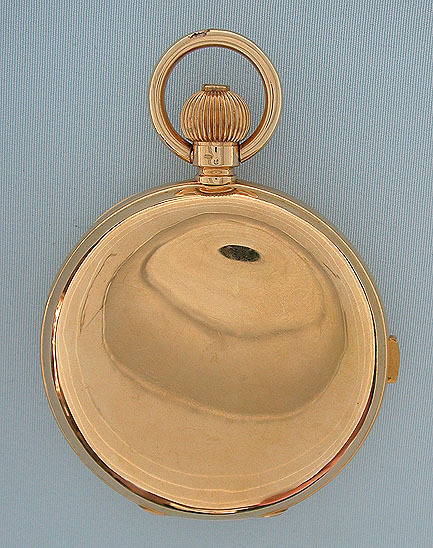 A very attractive watch with loud clear chimes.